Circa 1939 SR Drainage sketch at the north end of Hayling Island, between the embankments leading to the road and railway bridges. 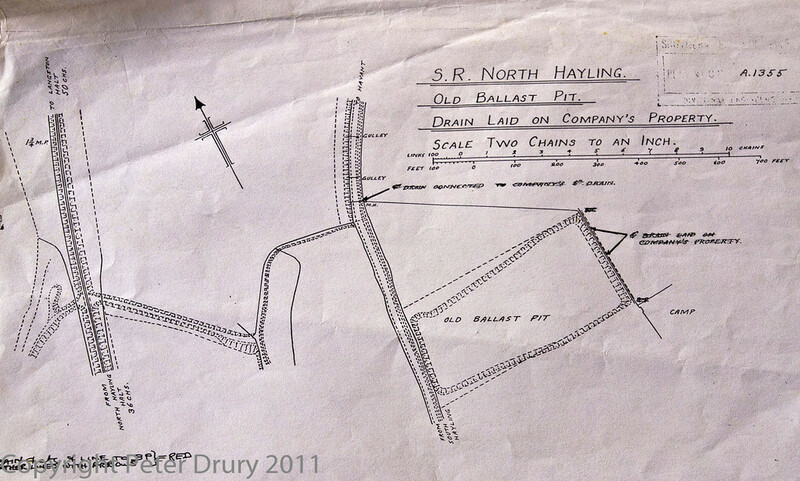 This image shows the path (now part of the Hayling Billy trail) leading to the railway ailgnment. A roadway used to connect the ballast pit with the railway and joined the path at the point where the HB trail turns left to follow the shoreline. This roadway was removed before the date of the sketch. The abandoned (1866) railway embankment can also be seen on the left of this sketch.